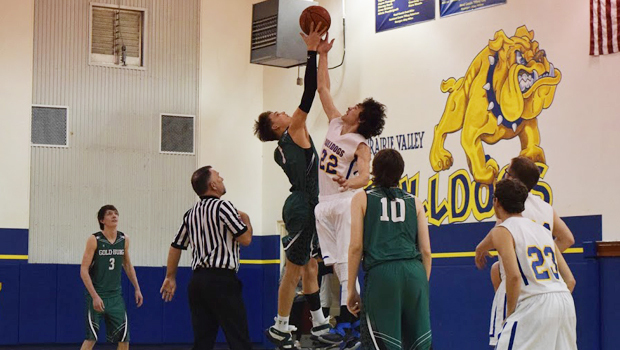 Prairie Valley and Gold-Burg faced off on Tuesday. Despite it being senior night for the Bulldogs, the Bears continued their pursuit of the last playoff spot by winning 61-49. Gold-Burg was again led by Tanner Parrish, who scored 40 points, grabbed 18 rebounds, collected three steals and blocked two shots. Coming off a game where he scored 57 points in an upset win at home against Saint Jo, the Bears have double downed on making the extra effort to get the ball to Parrish inside. Blake Allen added 12 points while dishing out eight assists and collecting eight rebounds. For Prairie Valley, William Winkler led the team with 12 points and Carter Lemon was right behind him with 11. Coach Seth Stephens did not feel his team played well. Outside of some early three-pointers, the offense could never get into rhythm. On defense, they had no answer for Parrish inside and also saw the Bears shoot 28 free throws. To read the full story, pick up a copy of the weekend edition of the Bowie News.